Ajay on working with Kajol: "Whenever we find a great script"
What will it take to reunite Kajol and Ajay Devgn on screen? Simple. 'A great script,' the actor told news agency IANS, when asked. Wait, did we say simple? Ajay isn't so sure. "It depends. Whenever we find a great script. It's not very easy to cast both of us in a film. You need a good script," he said, IANS reports. Kajol and Ajay Devgn last collaborated on the animated feature Toonpur Ka Super Hero, in which they voiced the leads, in 2010. Time for another film, we say - but should we hold our breath for another Ishq or Pyar To Hona Hi Tha or even a Raju Chacha or Dil Kya Kare or U Me Aur Hum? Perhaps not - but we can hope. 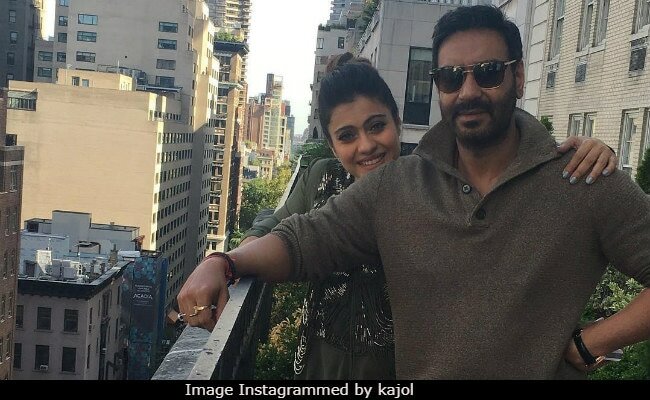 Kajol and Ajay Devgn married in 1999 and also have a daughter - Nysa, 15 - who wasn't at the screening because she's studying in Singapore. Which, as Ajay told IANS, has become a frequent destination for the family. "I try and balance my work very well. I spend a lot of time with my children. Sometimes it happens that you are stuck but most of the time I see to it that I spend time. I keep going to Singapore to spend time with my daughter Nysa and here also I do not work more than eight hours and not on Sundays," Ajay said. Raid done, Ajay Devgn will begin filming Total Dhamaal and another untitled film this year. Kajol, who appears only occasionally in films now, was last seen in the Tamil film VIP 2. She will make a cameo in Shah Rukh Khan's Zero at the end of the year and is currently working on director Pradeep Sarkar's Eela - a film that her husband is producing, but it doesn't count as a Kajol-Ajay movie, now does it?